Select the link below for the starting page to the 1910 IR Survey Search. Initially a photographic image of the first page of the 1910 Inland Revenue Survey is displayed. A transcript of each image is available simply by clicking the ‘Transcript’ tab above and to the left of the image. A transcript contains links to the property occupiers and owners that display all the references for the person recorded on this data base. A transcript also contains links to images of the properties (photographed in 2012) wherever the properties still exist and are accessible. Progression through the pages of the Survey is straightforward and reasonably self evident. Please note that each entry in the original record book spans across two pages, of which, only images and transcriptions for the left hand pages (the more informative) are available on this data base. The right hand pages contain mostly detail relating to land values. 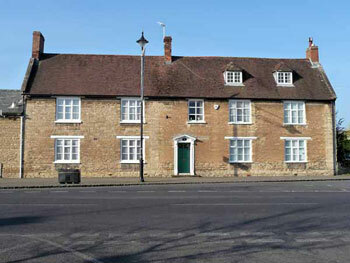 The original documents can be examined at the Bucks County Council’s Centre for Buckinghamshire Studies, located in Walton Street, Aylesbury. The Finance (1909-1910) Act (10 Edw. VII, c.8) provided for the levy and collection of a duty on the increment value of all land in the United Kingdom. The main object of the Act was to tax that part of the capital appreciation of real property which was attributable to the site itself, i.e. excluding that arising from crops, buildings and improvements paid for by the owners. In this way, private owners were required to surrender to the State part of the increase in the site value of their land which resulted from the expenditure of public money on communal developments such as roads or public services. Increment value duty, as this levy was called, was based on the difference between the amount of two valuations. Section 26(1) of the Act required the Board of Inland Revenue to ascertain the site value of all land in the United Kingdom as on 30 April 1909. This value constituted the “datum line” for the purposes of increment value duty. Any subsequent sale or grant of a lease, or transfer of an interest in a piece of land, or the subsequent death of a land-owner, provided the occasion for a potential payment of increment value duty; the site value at that date had then to be determined. The Valuation Office was set up for the purpose of making the valuations of property for Estate Duty purposes. In 1914 there were 118 valuation districts in England and Wales, each in the charge of a district valuer. Each district comprised a number of income tax divisions, which were considered to be the most convenient units for administrative purposes. It was in the valuation districts that the work of valuation was actually performed. The original valuation was completed, as far as was possible under the conditions then existing, in the autumn of 1915. The assessment of the site value on subsequent occasions was a recurring operation which formed part of the normal functions of the Valuation Office until increment value duty was repealed by the 1920 Finance Act (10 and 11 Geo. V, c.18). The original valuation exercise resulted in the creation of several series of records as follows. Each unit of property was assigned an assessment number (sometimes also called a hereditament number) and plans based on the Ordnance Survey sheet maps were drawn up as the chief means of reference to the other records created in the course of valuation. Two sets of plans were created: the working plans used in the course of the original valuation and the record plans made after that valuation was completed. Those working plans which survive are in the custody of local record offices, to which enquiries about them should be directed. The record plans are now held at The National Archives.